In order to guarantee consistent descriptions of image structure, it is desirable to base such descriptions on topological principles. Thus, we want to be able to derive topological representations from segmented images. 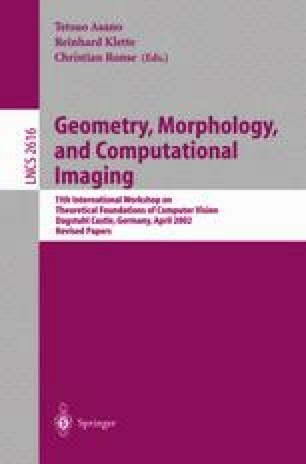 This paper discusses two methods to achieve this goal by means of the recently introduced XPMaps. First, it improves an existing algorithm that derives topological representations from region images and crack edges, and second, it presents a new algorithm that can be applied to standard 8-connected edge images.